Provide comfort for the family of Martin Hagerty with a meaningful gesture of sympathy. Hagerty, Martin J. "Joe" of Lexington on January 2nd. Loving husband of Maureen Hagerty (Hankins). Survived by his family Martin J. Hagerty Jr., his wife Michelle and their daughter Alexandra Hagerty. Ron, Nicole and Katelyn Mosher, Jack and Denise Haynes and Jay Menendez, Ron Pelletier and Mike Bowers and his wife Christina and their daughters Maggie and Emmaline. Brother of Mary Sullivan and the late Francis Hagerty. Also survived by many nieces and nephews. Late US Marine Corps veteran. Relatives and friends are invited to attend a funeral mass on Friday January 25th at 10:30 am in St. Camillus Church. Visit devitofuneralhome.com to send an online condolence. 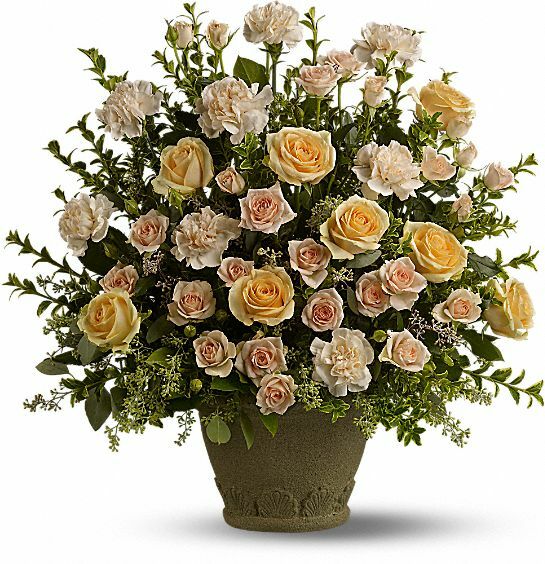 Sincerely Gene & Madeline and Barbara Wheatley have sent flowers to the family of Martin J. "Joe" Hagerty. Dear Maureen family & Mary his sister, please accept our sincere sympathy to you all at this very sad time.our thoughts are with you Thomas & Mary Kennedy & Brian Doyle Ennistymon & Moybeg Co Clare. Sincerely Gene & Madeline purchased flowers for the family of Martin Hagerty.